Dan Miller is the founder and publisher of Flatpicking Guitar Magazine, a bi-monthly print and online-based periodical (and companion audio CD) dedicated to presenting all aspects of the art of flatpicking the acoustic guitar, as pioneered by such great guitarists as Doc Watson, Clarence White, Norman Blake, Tony Rice, and Dan Crary. In May 2008, Flatpicking Guitar Magazine launched the Flatpicking Guitar network, an online community to discuss, explore, learn and interact with other flatpickers. In the following interview, Dan shares some of the insights he has observed about the art of creating — and marketing — original music. You’ve had the opportunity to personally interview well over 100 highly-respected guitar players through the years, many of whom are also talented songwriters. Have you observed any recurring themes or shared traits among the songwriters you’ve interviewed? When I interviewed Marty Stuart about his album The Pilgrim, he called the pop country hits “disposable” and told me that when working on The Pilgrim he wanted to write songs that “sounded like they were old.” He said, “What I feel like I have done with The Pilgrim is regained my credibility. Not to say that I discount anything that we’ve done over the past fifteen years, but you back it up to before we had a hit with Hillbilly Rock, and man I tried everything. I tried bluegrass, I tried folk, I tried country, and the first thing that took off was Hillbilly Rock. Darrell explained that he views the song as an umbrella that encases parts that can be broken down into a familiar form, for instance: intro, verse, solo, chorus, bridge, and outro. He said that in a great song there is a reason why everything is there and every part helps to carry the listener on a journey. If a guitar player is mindful of all of the parts, then they can better support each part of the song and can make a conscious shift from one part to the next. In addition to your work as a magazine publisher and record label owner, you’re also close to the inner workings of more than one successful music career. With the Internet eroding the traditional star-making power of the major record labels, what are some of the most important things a songwriter can do these days to get exposure for their music? I would say that every songwriter and musician needs to learn as much as they can about marketing, advertising, and publicity and work at that just as hard as they do their songwriting. How to market your songs and music in today’s changing music market is a large and complex topic, which continues to evolve rapidly. So it is hard to really dig into all of that “how to” information in a short interview. The one thing songwriters need to do, however, is be as creative in their approach to marketing and pitching their songs as they are in their song writing. The music industry is in the middle of a rapidly changing revolution, so it is no longer viable to just think along the traditional lines of record labels, CDs, touring, etc. While the “old style” music industry is in decay, songwriters have to realize that there are more markets and opportunities for their songs now than there has ever been in the past. There are songs and music on video games, hundreds and hundreds of shows and commercials on cable television, hundreds of large and small video productions, cell phone ring tones, and numerous types of digital downloads and broadcasts — and there are a lot of new, interesting, and exciting ways to reach these markets. The obvious ones that everyone uses on the Internet are MySpace, Facebook, YouTube, Internet radio, and podcasts. But there are also many others that a songwriter can find and use to his or her advantage. The songwriter simply needs to do his or her research and explore all of the possibilities, and think outside of the box. As an example, Brad Davis, an artist and songwriter on our FGM record label, does a lot of writing with actor, writer, and musician Billy Bob Thornton. He and Billy were working in the studio a few years ago, staying up for days on end and drinking a lot of coffee. They ran out and ordered some coffee from an Internet company called Coffee Fool and absolutely loved the stuff. Brad was telling me this story and raving about this coffee and so I said, “If you love the product so much, write a song about how great it is, call the song “Coffee Fool” and send it to them. 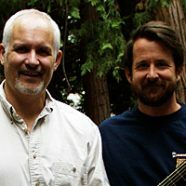 Brad wrote the song, recorded it, and not only did the company use the song on their website, they have since sponsored some of Brad’s shows and clinics and continue to work with him on some other promotional projects that have turned out to be mutually beneficial for both Brad and the coffee company. So, you never know. You have to pursue all avenues. Don’t just think about pitching to labels and/or other recording artists. The biggest problem that I see is that songwriters and musicians like to write and record songs, but they are not always so crazy about working really hard to promote those songs once they are written and recorded. The ones that are super successful have other people doing all of that work for them. That’s great, however, until you can afford to pay the publicist, the radio promoter, and the song plugger, you have to do all of that work yourself. It is not always fun and the constant rejection is hard to take, but it is a necessary evil. The other thing to say here is that the concept of promotion, and all that it entails, can be very overwhelming. There is a lot to do and you don’t have time for it all. It is a lot of hard work and it can be very disappointing when the majority of your efforts don’t pan out. I recommend that songwriters and musicians look at marketing and publicity as a very long and slow moving process. Consistency and diligence are the keys. So I recommend that artists set aside a certain amount of time every day, maybe an hour, and work on promotion and marketing consistently. Don’t finish a new song or a new CD and work really hard to promote it for only three or four weeks and expect to get very far. Work on it an hour or so every single day of every year. Be consistent, keep at it, and results will come. Each of these two-hour DVDs is packed with flatpicking jam session favorites (11 tunes on each DVD). Brad plays each tune at four different tempos (slow, slow/medium, medium/fast, and fast) so that you can work on your tone, timing, note clarity, and fluidity at the slower tempos and then work to develop your speed at the higher tempos. At each tempo Brad takes a solo then plays rhythm so you can take your solo. At the three higher tempos Brad swaps solos and rhythm with you twice. On each tune Brad plays a variety of rhythmic and lead styles. A bass line and mandolin chop accompany every song at every tempo.